Nuremberg, c. 1780. On wide staves. Upper portions hand chased with swags. 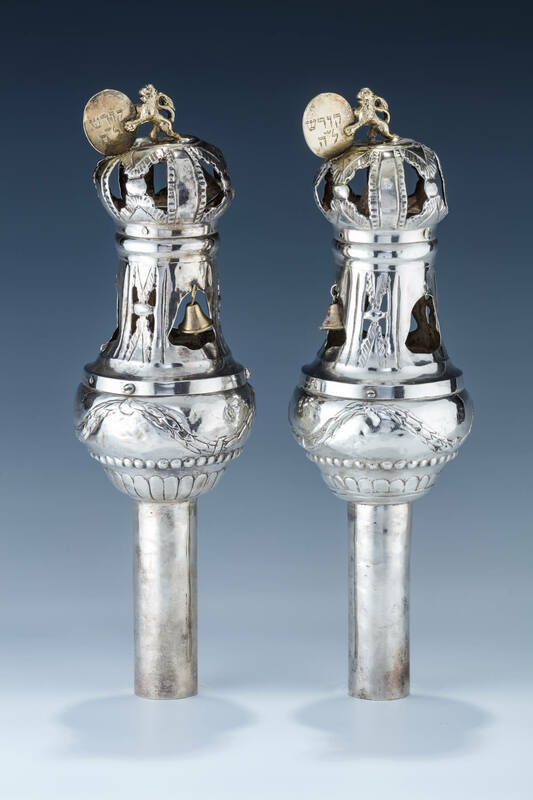 Topped with lion finials, each holding a disc engraved in Hebrew “Holy unto the Lord.” 11.4”.